Prayagraj, February 9: Ganga water will become potable and will be completely clean by next year March says Minister of River development and Ganga rejuvenation, Nitin Gadkari while addressing an occasion at Kumbh Prayagraj on Friday. Gadkari said the government is working fast on navigation facility from Haldia to Prayagraj. He said transportation cost by waterways is several times cheaper than the road. Waterways on Ganga will help in the development of the state. Earlier, Gadkari inaugurated inland waterways development projects and dedicated River Information System -RIS from Farrakka to Patna from Kila Ghat at Sangam area at Prayagraj. This is the second phase of RIS. Work on the third phase of RIS from Patna to Varanasi is in progress. RIS system facilitates like ATC for flights and makes navigation smooth. Gadkari visited an exhibition on Ganga cleaning at Kumbh. Besides binaural and dedication of projects Union Minister also visited a huge exhibition on Rashtriya Swachha Ganga Mission -NMCG under 'Namami Gange', erected at sector 2 of Kumbh Mela. There are 42 partners of NMGC that are working together for clean river Ganga. The exhibition has 42 display stalls where people are thronging in a large number. 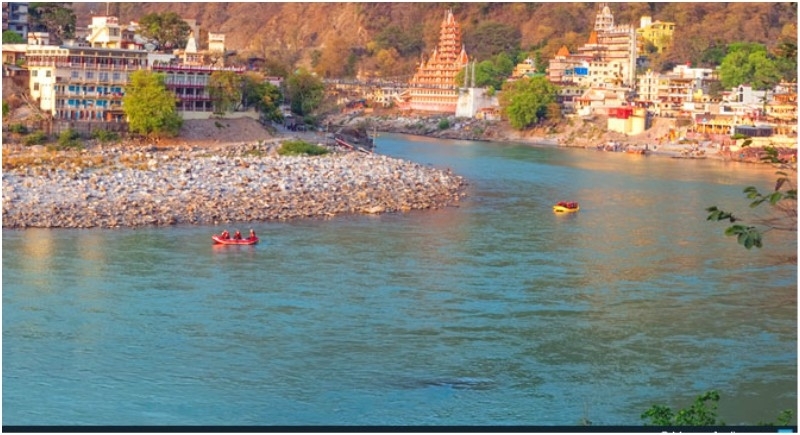 Ganga Vichar Manch one of the partners is engaged in creating awareness on cleaning of Ganga by connecting people with the mission. Ganga Task Force -GTF sleuths work for patroling, testing of water quality, plantation on river banks and also contribute in flood relief and rescue like tasks. Gadkari after landing Prayagraj reached Sangam area at Arail and took holy dip and performed Ganga Pujan.